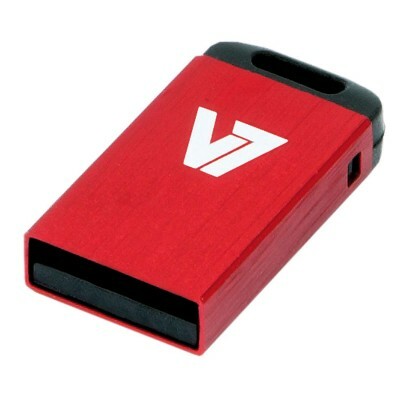 The V7 32GB Red Nano USB Flash Drive offers a stylish durable stainless steel housing in multiple color options. These drives allow you to store your important information on your keychain so you can carry it throughout the day from your home, in the car and all around the office. Ranging in size options of 4GB, 8GB, 16GB and 32GB and color options from black, red, green, yellow, and blue thereâ€™s a size and color option that will fit your preference. Backed by a limited 5 year warranty these reliable drives provide peace of mind and freedom to transport your data in style.